My aunt has been in Italy the last few weeks and last week she tagged me in this photo she took. 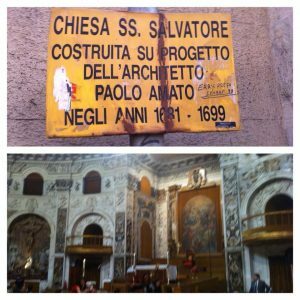 She visited a St. Salvatore Church and she said a prayer and made a donation in memory of all the Salvatore’s in our family. My grandfather, my father and many of the men before them were named Salvatore and my cousin had a baby recently and his middle name is Salvatore. 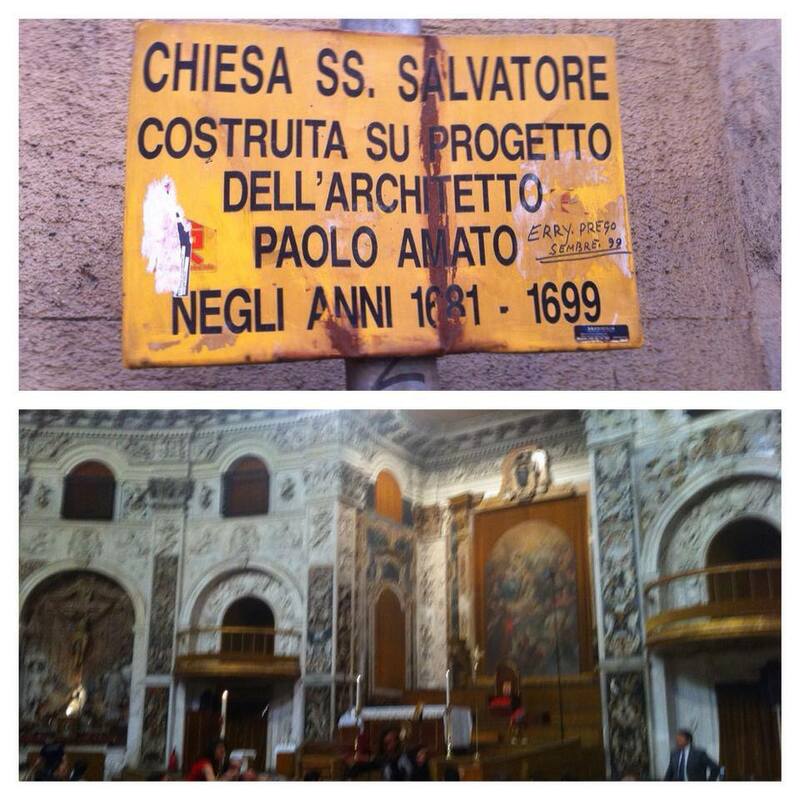 I had never seen a St. Salvatore church. I hope to visit this church someday in the future. I finally finished a book I was reading for a Book Review. Except #BloggerFail I went to get the information from the website on the review and my account was deactivated. Hopefully it gets reinstated so I can write the review. Overall it was a REALLY good book and easy read and I was sad that the book ended 🙁 more to come in the next few weeks. I know I talked about Vine last week but this week I have been pretty obsessed with the app. I took a bunch of videos on Thursday afternoon when I went for a walk at the mission grounds. and see a squirrel 🙂 about 2 minutes after I took this video I saw a RACOON and totally freaked out!! Luckily the raccoon ran the other way and I escaped unharmed. Last week I mentioned how the cats were all confused aka mad because we’ve been having work done on the bathroom. We thought our landlord was kind of annoyed when we told them about the damage and that it needed to be fixed (in our defense the bathroom wall was like that when we moved in it had just gotten worse the last few months). They finished it up on Friday and this week we got a giftcard in the mail for Chilis thanking us for letting them do the repair and for inconveniencing us!! We were in shock!! So that was awesome!! I hope everyone has a great weekend! Here is a buzzfeed read to reminisce about your childhood to enjoy. That is so cool about the church!!! There were raccoons everywhere on my college campus as it was in the middle of a redwood forest. They were highly entertaining as long as you kept your distance.